In late May it was reported First 4 Figures' Zero statue was coming back from the dead thanks to fan support. Today, the new and improved mold made its grand debut at the New York Comic-Con showfloor. 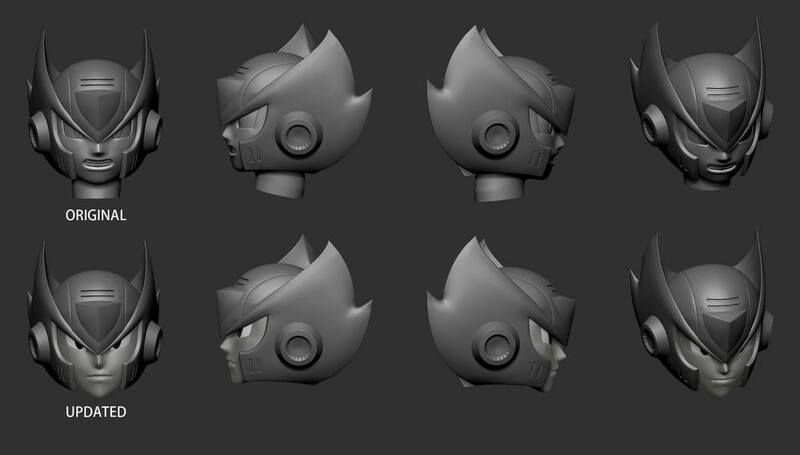 Compared to the original mold, this new Zero features a completely redesigned head and face, among other minor adjustments. The LED lights – exclusive to the previously announced "exclusive version" – look quite nice against the refreshed red and gold paint. Word has it there may be a black armor variant on the burner too. All in all I think this is a pretty significant improvement over the previous mold. Zero's limbs, though, could use some work. A little too rubber hose-like, if you ask me. No word yet on price or release date, I'm afraid. Hopefully those details are coming sooner than later. In the meantime, hop over to Mega Man World for more photos. Looks a bit better, yes. Head looks good, although seemingly a bit...bigger? Longer? I also concur about the arms and legs. Much like how they adjusted their Solid Snake statues arm thickness, they need to do the same for Zero's arms and legs. Yeah I think the face is too long. I looked at my D-Arts Black Zero and his face isn't that long. Not good enough, not for the price they will be asking. The Gigantic Zero figure from X-Toys was absolutely perfect, this one not so much. Thanks for the link to my site Mega Man World. :) I've been getting the same feedback from my users... all the limbs need to be beefed up a bit... and most don't like the face at all. I don't believe this is the final prototype so I'm sure once Alex (F4F owner) gets the feedback from everyone they'll make some more tweaks. That face is still a mess. shoulda just cancelled it. 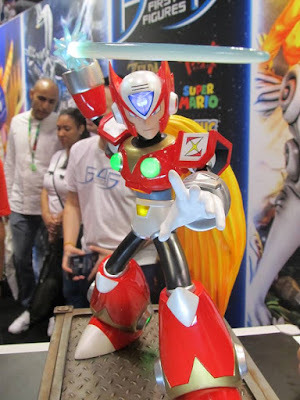 I never liked any of the F4F Megaman statues. the faces on all of them are off. I've owned and seen several other F4F sculptures; their quality control is always just a little off, and always in ways which die-hard fans would specifically notice. I have personally decided to stay away from F4F products, and agree that -- in this case -- Zero's limbs look ridiculous, and not proportional. This kind of oversight is par for the F4F course, unfortunately. At least the face looks better, but it still doesn't look right to me. Yeah I was gonna say, the face is better than it was originally but it definitely still needs work. Everything looks pretty cool (especially the green lights) except for the face. That seems to be a common criticism of it, but wow is it offputting. Fan outcry resurrects something like THIS? Why not an actual Megaman game? Or at least D-Arts or one of the many other Megaman figure lines that got killed off by Megaman Zero? I want a poseable Sigma, dangit!